Chinese Ambassador to Pakistan Yao Jing on Wednesday said China had no objection to Saudi Arabia investing in the China-Pakistan Economic Corridor (CPEC). "We welcome investment in CPEC," the ambassador told journalists at the Quetta Press Club. Following Prime Minister Imran Khan's visit to Saudia Arabia last month, the government had announced that the kingdom has signed grant agreements with Pakistan to finance three road infrastructure and energy projects under CPEC. The government, however, had clarified that Saudi Arabia would not be made part of the $50 billion CPEC framework and the kingdom’s proposed investments would fall under a separate bilateral arrangement. “The framework between China and Pakistan is bilateral and Saudi Arabia is not entering that framework as a third-party investor, rather the base of CPEC will be broadened and its pace will be expedited,” Minister for Planning and Development Khusro Bakhtiar had said during a press conference. 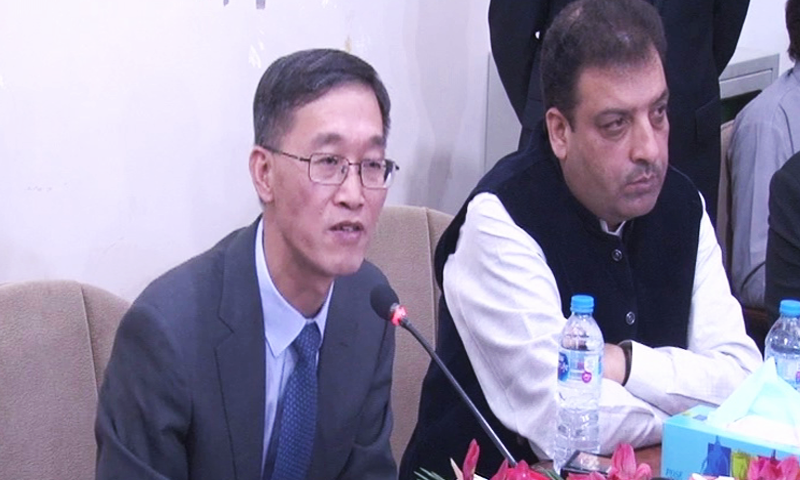 During his visit to Quetta, Ambassador Jing also addressed the Quetta Chamber of Commerce and Industry and met people from a broad cross-section of society. Chinese Ambassador to Pakistan, Yao Jing briefing the media. He stated that after the formation of the new government, CPEC had been reviewed and consensus had been developed over the inclusion of new projects. 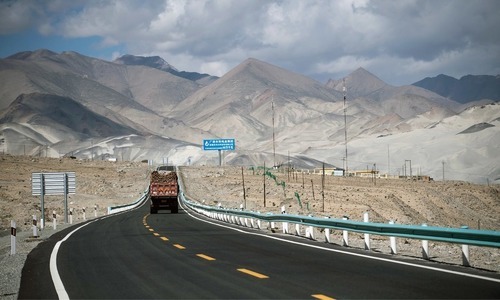 "Both sides will keep working on the ongoing projects under CPEC and have them finished as scheduled," Jing said of the projects that are already underway. "For the next stage of the project, we will focus on joint ventures and the social sector. We have also decided that more resources should be given to the western provinces," he revealed. He expressed the desire to link the mega project to Central Asian states via Afghanistan. He said CPEC would open new vistas of development and prosperity in the region. The Chinese Ambassador stated that CPEC had entered "a new era" and that jobs would be created for the people of Pakistan through its various projects. He said Balochistan offers numerous opportunities to investors in terms of agriculture, livestock, mines and minerals. At the chamber of commerce, businessmen urged the Chinese ambassador to establish a Chinese consulate in Quetta to address their business needs. The ambassador promised the business community that their request would be discussed with Chinese higher ups. Maybe the Saudis have an objection? @Zak : We shall find out soon. China has never had a problem with other investments because China herself has invited more than 70 countries to join OBOR but our so called political class has tainted Pakistan’s stance on those investments. Great, sensible, mature, true, educated and intelligent statement made by the Chinese ambassador before the journalists at the famous press club in the historic Balouchistan capital city of Quetta, Islamic Republic of Pakistan. Well done and keep it up. But Saudi is not interested. Why do we keep going around in circles? @Bpd Ok Thank you, You carry on. @Dk looks like Indians have objections ..
China is truly a great nation which has stood by Pakistan as a "friend" in good times and challenging times, unlike America which changes its policy every four years with every new president. That is a problem faced by America's friends and foes alike. 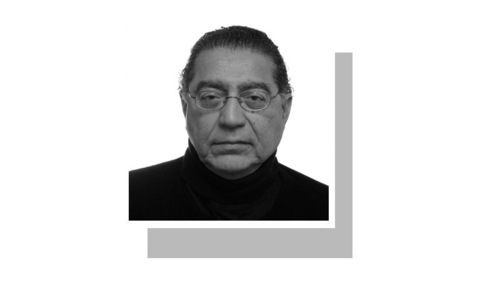 President Trump does not know history to appreciate friends like Pakistan of 70 years, he has a jaundiced view of the world and wants to bully and threaten everyone. That is certainly not being a world leader and statesman seeking peace and friendship. He has become a threat to the world. I can't understand why Saudi's want to invest in Cpec which is between China and Pak? Why not they want to invest in other new projects? Cpec to Cspec. Ofcourse saudis are our brothers but why we are so much depending on them. They do not want anyone to get in to CPEC and that was conveyed in a piece written by a Chinese newspaper. Saudi also doesn't seem interested in funding infrastructure projects. Now that PTI has officially announced that Saudi is not going to be a part of CPEC the Chinese can always issue public statements supporting entry of other players in CPEC. Fact remains CPEC is part of OBOR and OBOR is China's big ticket to rule the world through trade and on the sidelines gain control of vital assets when poor countries default on pricey loans. There is no way they will let anyone dilute it's purpose. Chinese now sensing losses and they would like to dilute them. Saudi will invest but doesn't provide oil to Pakistan on deferred or future payments. Reason is simple. Because of sanctions on Iran, Saudi has new demands from other countries for its oil including India. They have clients who need oil and make payments in dollars. IN such a situation, how can Saudi help Pakistan with Oil on future payments? @Zak - "China is the True friend of Pakistan"
And yet they refused to help you and voted against you. Giving loans at unknown interest rate and Libor. Using veto at UN to save one gentleman. How it was taken by international community and it's resulting effects you to decide. Blocking India's bid to enter NSG, though we don't know it was challenging time or not. Kindly make us know how they are with you in other times. In today's DAWN in another article it was stated that the Saudis returned witout signing even a MoU. What is the reason and timing of this statement? Never judge a Chinese by his concessions, i mean their magnanimity is often more withheld than revealed..
Pakistanis need to learn to build roads and bridges themselves otherwise nation will remain dependent on others forever. China learnt by building themselves and now lead the world. Create a national company, hire local graduates so they become experienced with hands on projects. Few Chinese advisors would be good idea but projects must be built by Pakistani labor force. Turnkey projects with built in guaranteed profit is road to failure and burden on nation. CPEC can be good for Pakistan if and only if Pakistani companies and labor force employed and projects selected competitively on merit. Excellent statement by the Chinese. They seem to have realised that throwing money after bad money is useless. It is funny that Pakistan struggles with getting $50 billion whereas my motherland state in India, Maharashtra gets an FDI of $200 billion and no one thinks it is a big deal. @A Shah - And why are you so "interested" here? Go think of India! Why would China say no to investment from any other country in cpec. As such they are worried about recovering loans given to Pakistan. Having another investor means China can share Italian loss with Saudi Arabia. @A Shah how do you know that Saudis are not interested! Are you their personal Secretary? Pakistan and China Welcome Saudi Arab investment in CPEC. Chinese are true friends off themselves.its becoming abnoxitious when I read people talking about Pak and China superlative friendship.They are Pakistan's friend only in their need,Pakistan and China don't have anything in common. Why China would object if Pak take money from other sources and finaly pay Chineae loan. @Ghosh ..what you Indians say or do has no meaning for us so just mind your own business. Feeling for the poor masses of Pakistan . They are told so many things on daily basis and none of them is remotely true. The fact is because of Imran indecision, foreign reserve are now 6 b less than 5 weeks of import. And why are you taking it given that IMF will bail you out.